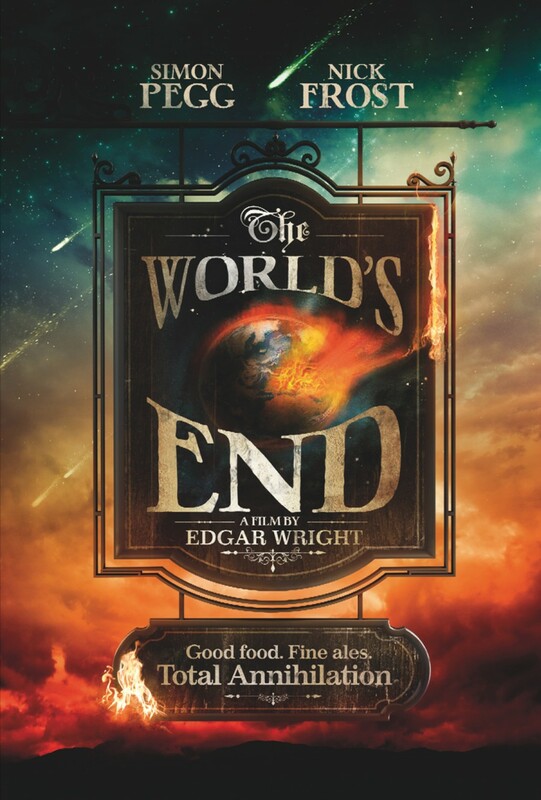 Edgar Wright, Simon Pegg, and Nick Frost return once again to bring us the exciting conclusion to their now legendary "Cornetto Trilogy" and this time around the fate of the entire planet hangs in the balance in what can only be referred to as The World's End. The stakes are at an all time high in this is action, sci-fi, comedy and you won't want to miss one moment of all the hilarious action these guys have put together. Gary King (Pegg) is on a mission to reunite his high school pals to finish an epic adventure they fell just short of completing nearly two decades earlier back in their home town. This thirst quenching quest is known as the Miracle Mile pub crawl which includes twelve of Newton Haven's finest watering holes. 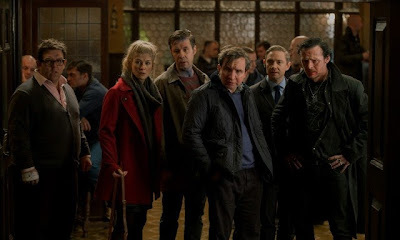 Those brave and hearty enough to complete this daunting task ultimately become the stuff of legend and Gary has every intention of entering those hallowed halls of history along with his estranged friends Andrew (Frist), Steven (Paddy Considine), Peter (Eddie Marsan), and Oliver (Martin Freeman). While the four companions have reluctantly joined Jack's journey to inebriated eternity, not one of them ever anticipated what might be awaiting them behind the dozen doors of impending drunken doom. After the first two stops on the crawl are checked off the map, some truths are revealed about why Jack has actually brought them all together and even as their apprehensive alliance begins to fall apart some very strange events begin to unfold that keeps the not so merry band of drinkers on a collision course with The World's End...which is of course the name of the final bar on the pub crawl list. There is so much more going on within this fantastic story than what I have just set up although I am afraid to tell you any of it so as not to spoil any of the ridiculously fun surprises that are revealed throughout the movie's 109 minute run time. If you watch the trailer, a few more important story notes will be revealed, but I'll leave it up to you whether or not you want to go down that path. What I will tell you is that this is a very fitting bookend to what has become a loosely tied together yet inherently inseparable trio of cinematic triumphs. 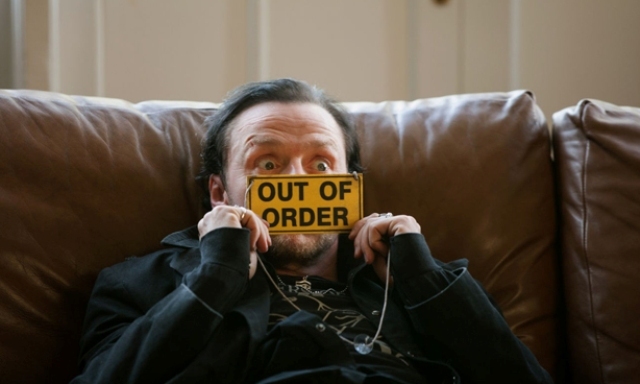 Oh right, some of you may have no idea what I'm talking about or what the aforementioned "Cornetto Trilogy" could possibly be. 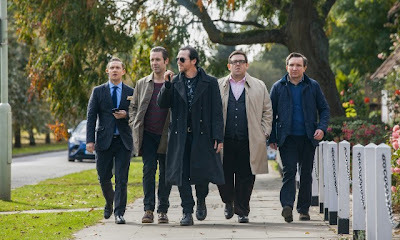 The trilogy in question consists of the breakout zombie comedy Shaun of the Dead, the explosively hilarious action comedy Hot Fuzz, and the drunken debauchery that is The World's End. On its own, The World's End is a truly hilarious comedy that actually explores some serious societal issues while going all out with great action sequences and eye popping science fiction elements. 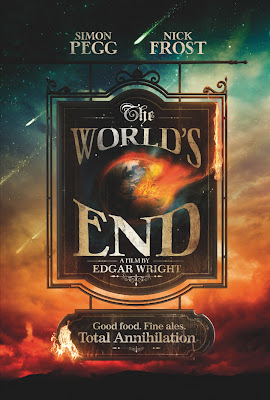 This is truly a mixed bag of entertainment although Simon Pegg and Edgar Wright, as writers, have managed to keep everything just balanced enough to make it all work brilliantly. Add in the fact that there are layers upon layers of thematic threads twisted together and revisited gags brought forth from the other two movies that anyone even vaguely familiar with Shaun of the Dead and Hot Fuzz will have that much more to enjoy. While not completely necessary, I would recommend watching the other two movies (again) before seeing The World's End just so you can have all the underlying texture laid out before you for maximum enjoyment. Even without all that, this is still an outstanding movie on its own merit and I would highly recommend that you go see it as soon as possible. 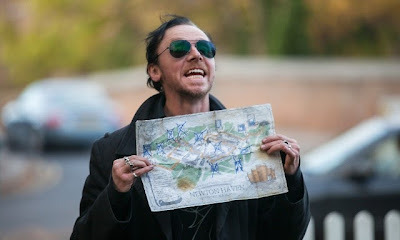 If this really is the final movie to include the triumphant trio of Edgar Wright (director and writer), Simon Pegg (writer and actor), and Nick Frost (actor) then I'd have to say that they have indeed created a very fitting end to a series we will enjoy for a very long time.